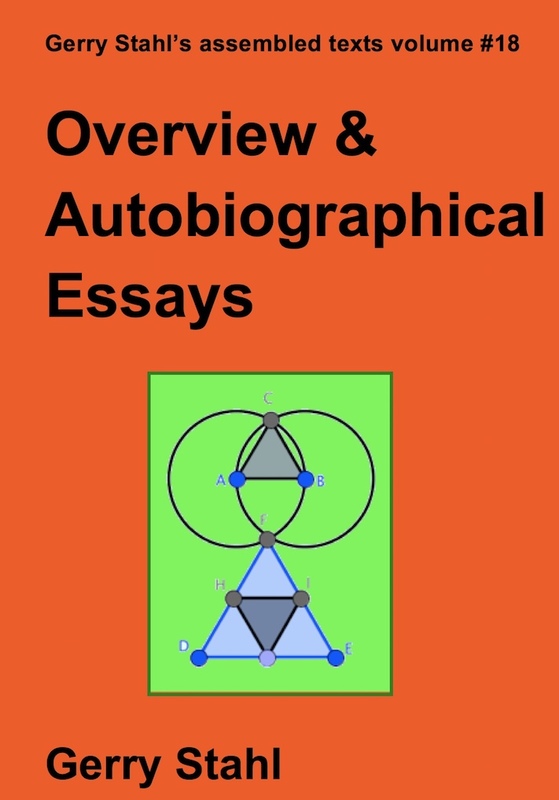 My eLibrary consists of 20 volumes of essays, containing all of my important writings. The texts are assembled in thematic volumes. You can download the latest PDF version of each volume of my Assembled Texts by clicking on the _.pdf link following the image of the volume below. This PDF version is the most up-to-date edited and revised version with the best digital formatting for reading. I proof-read and reformatted them for new 2017 or 2018 editions. As any changes or additions are made, they will appear first in these PDF versions. For information about each volume and other versions of it (print-on-demand, ebook, mobi, epub, etc. for iBooks, Kindle, etc. ), click on the image of the volume to go to its eLibrary page. Note that volumes 3, 4, 5, 6 and 19 were commercially published. The PDFs are not the official versions, but are pre-publication versions for informal use. Please see the eLibrary pages for information about purchasing the commercially published versions. 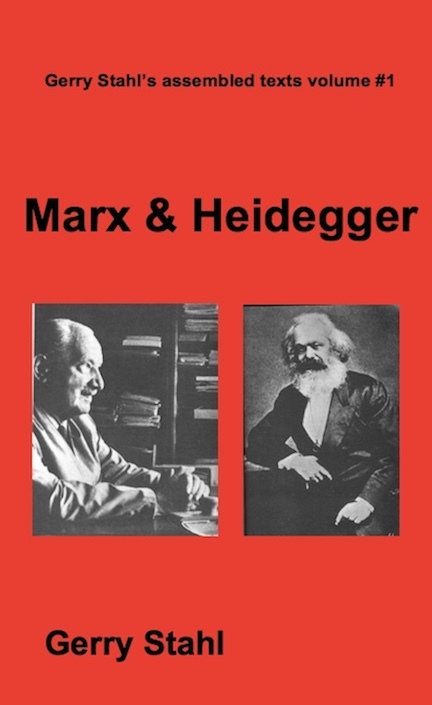 Volume 1:_ _marx.pdf - "Marx and Heidegger"
Volume 2:_ __tacit.pdf - "Tacit and Explicit Understanding in Computer Support"
Volume 3:_ __gc.pdf - "Group Cognition"
Volume 4:_ __svmt.pdf - "Studying VMT"
Volume 5:_ __euclid.pdf - " Translating Euclid"
Volume 6:_ __analysis.pdf - " Constructing Dynamic Triangles Together"
Volume 7:_ __philosophy.pdf - "Essays in Social Philosophy"
Volume 8:_ __software.pdf - " Essays in Personalizable Software"
Volume 9:_ __cscl.pdf - " Essays in CSCL"
Volume 10:_ __science.pdf - " Essays in Group-Cognitive Science"
Volume 11:_ __theory.pdf - " Essays in Philosophy of Group Cognition"
Volume 12:_ __math.pdf - " Essays in Online Mathematics Interaction"
Volume 13:_ __dynamic.pdf - "Essays in Collaborative Dynamic Geometry"
Volume 14:_ __topics.pdf - "Adventures in Dynamic Geometr y"
Volume 15:_ __global.pdf - "Global Introduction to CSCL"
Volume 16:_ __ijcscl.pdf - "Editorial Introductions to ijCSCL"
Volume 17:_ __proposals.pdf - " Proposals for Research"
Volume 18:_ __overview.pdf - " Overview and Autobiographical Essays"
Volume 19:_ __investigations.pdf - " Theoretical Investigations"
Volume 20:_ __form.pdf - " Works of 3-D Form"
My CV lists about 375 publications and presentations. To organize them thematially and to make them more accessible, I have assembled the best versions of them in 20 volumes. To the extent possible, I have made these volumes available for free in electronic format (pdf, epub and mobi) and at low cost in paperback. Most of these texts are related to issues of computer-supported collaborative learning (CSCL), the effort to take advantage of networked digital technology to create new opportunities for students to create shared knowledge and to learn together. * Books published by MIT Press, Springer Press, Morgan & Claypool, Cambridge University Press (volumes 3-6 and 19). These books can be purchased from the publishers; pre-publication versions are also available without the final editing and pagination from this site. I have encouraged the publishers to make available paperback and ebook versions. * Self-published volumes of assembled essays (volumes 7-18 and 20), previously published in journals, books or conferences. The PDF versions on this site are generally the best versions (most up-to-date, best formatted, consistent pagination, color figures, high resolution images). If you prefer, EPUB (for iPad and Mac iBook) and MOBI (for Kindle and Kindle App) are also available for free for some of the volumes. Paperback versions are available at printing-on-demand cost through Lulu or from this site. * Proceedings of CSCL 2002 and CSCL 2011, which I chaired or co-chaired. 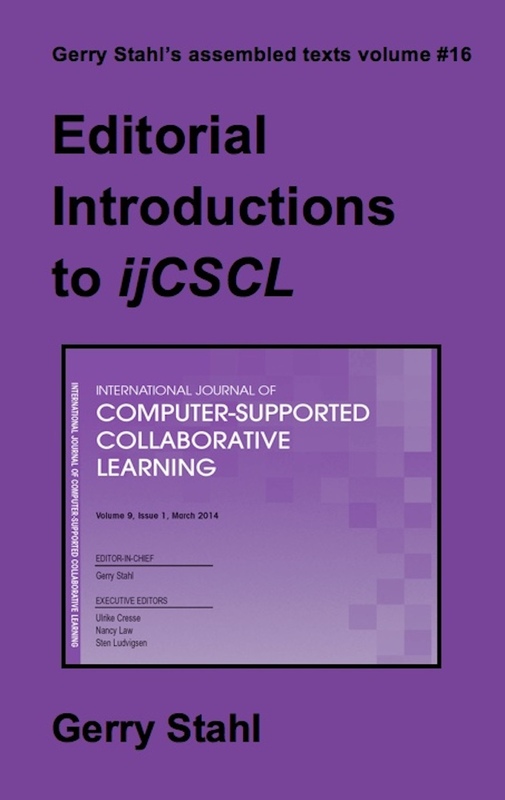 Issues of the International Journal of CSCL, which I edited from 2006-2015. My PhD dissertation in philosophy at Northwestern University, with research in Heidelberg and Frankfurt, Germany. It presents core methodological ideas from two philosophies that influenced contemporary theory perhaps more than any other. It proposes a synthesis, which continues to guide my thinking. It reflects my understanding of philosophy and social thought in the early 1970s. 206 pages. My PhD dissertation in computer science at the University of Colorado at Boulder. 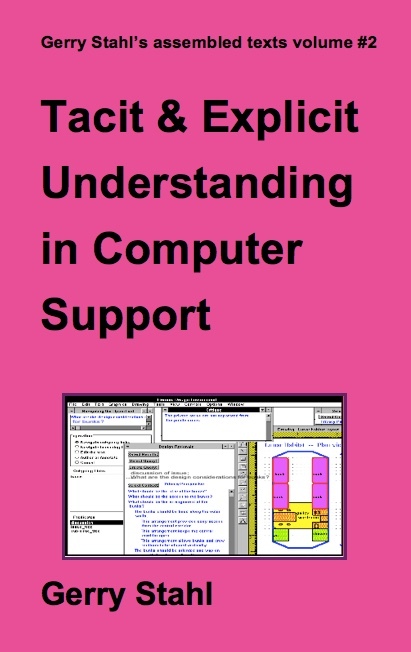 It addresses the nature of group understanding within design teams and raises the question of how to design computer support for collaborative knowledge building. I completed this in 1993. 400 pages. A collection of my papers from 1993-2006 about the design of collaboration software, the analysis of online interaction and the theory of group cognition. The chapters discuss software prototypes to support group formation/interaction, multiple interpretive perspectives and the negotiation of shared knowledge. 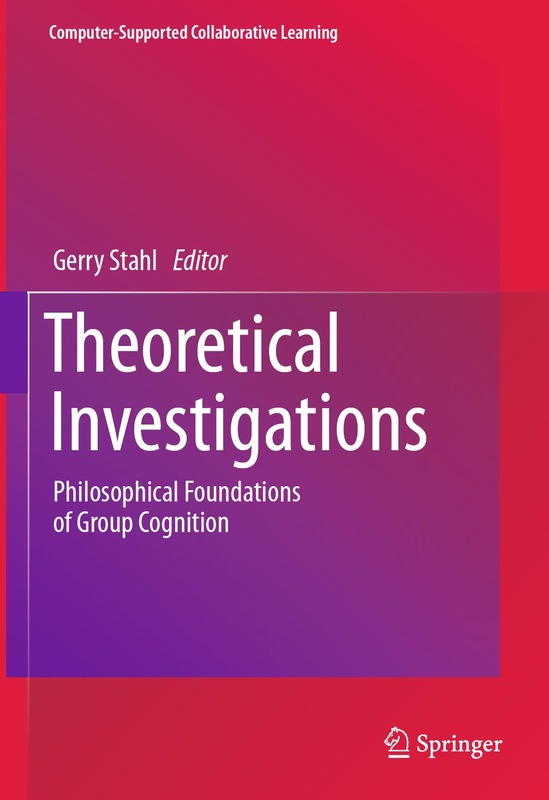 The book advocates the study of group cognition at the small-group unit of analysis. It also proposes the Virtual Math Teams project to conduct research on group cognition. Published by MIT Press in May 2006. 510 pages. A collection of chapters from 2006-2009 about the VMT project, including contributions by project members and international colleagues. It covers overviews of the VMT approach, summaries of several dissertations on data from the VMT project, methodological reflections, software design issues, representational systems and theoretical considerations. Published by Springer Verlag in September 2009. 626 pages. A multi-dimensional analysis of the attempt by the VMT Project from 2002-2013 to translate geometry education into a human-centered, computer-supported, collaborative-learning, dynamic-geometry pedagogy based on design research. Written from 2009-2013, the book discusses: the VMT vision, the history of geometry education, philosophical issues, the mathematics of dynamic geometry, collaborative learning, research methods, theory of referential resources, pedagogy, curriculum and design-based research. Published by Morgan & Claypool in April 2013. 219 pages. A monograph written from 2013-2015, analyzing the work of a group of three students as they become introduced to dynamic geometry during eight hour-long online sessions using VMT with GeoGebra. 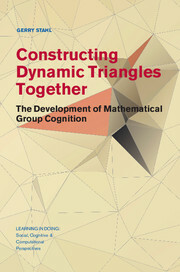 The monograph documents the team's development of mathematical group cognition. Introductory chapters motivate the study and discuss its case-study method. Concluding chapters reflect on the group-cognitive development and its implications for re-design of the math curriculum. Published by Cambridge University Press in November 2015. 270 pages. 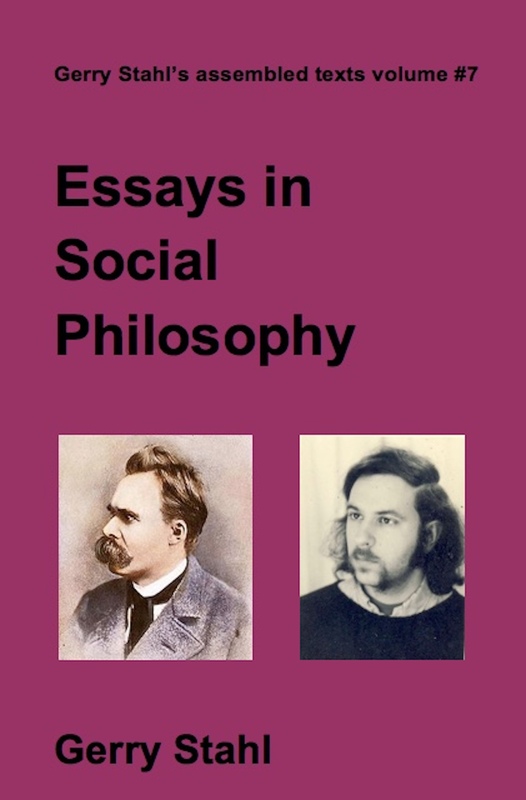 An assembly of my early writings on philosophy, starting with an undergraduate thesis on Nietzsche; essays related to Marx, Heidegger and Adorno; informal notes on artificial intelligence and other issues. 228 pages. 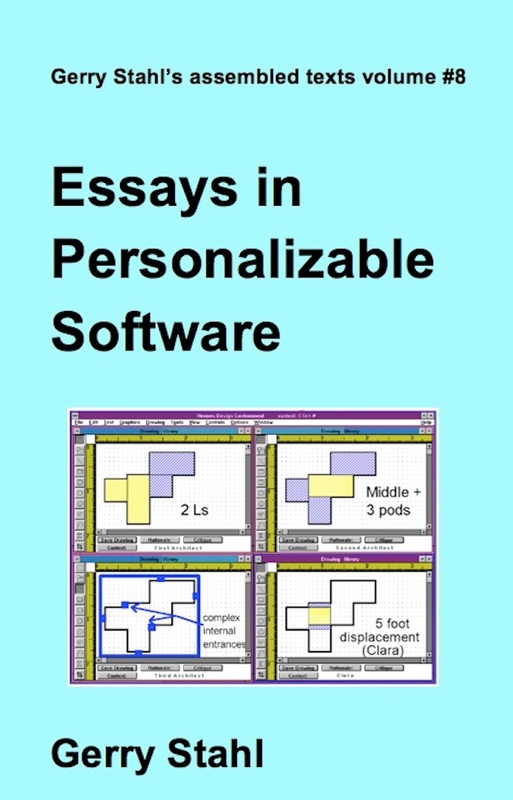 A collection of papers on software design from my research at the University of Colorado. In particular, central chapters explore an innovative perspectives mechanisms for structured hypermedia, investigated from 1989-2001. 340 pages. A collection of publications from 2005-2011 on issues of CSCL, including descriptions of VMT and plans for future VMT development. 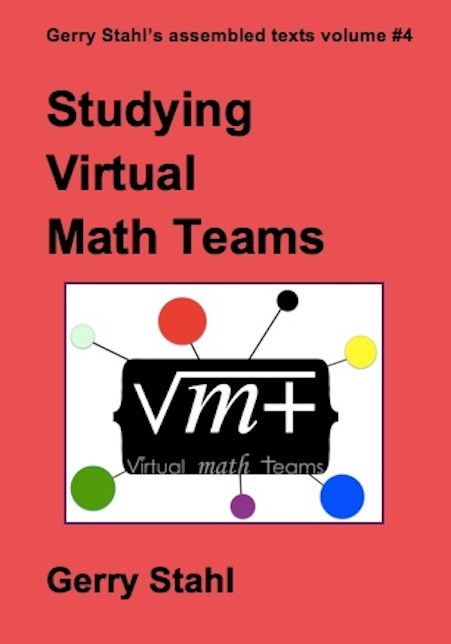 These essays supplement the chapters in Studying Virtual Math Teams. 214 pages. 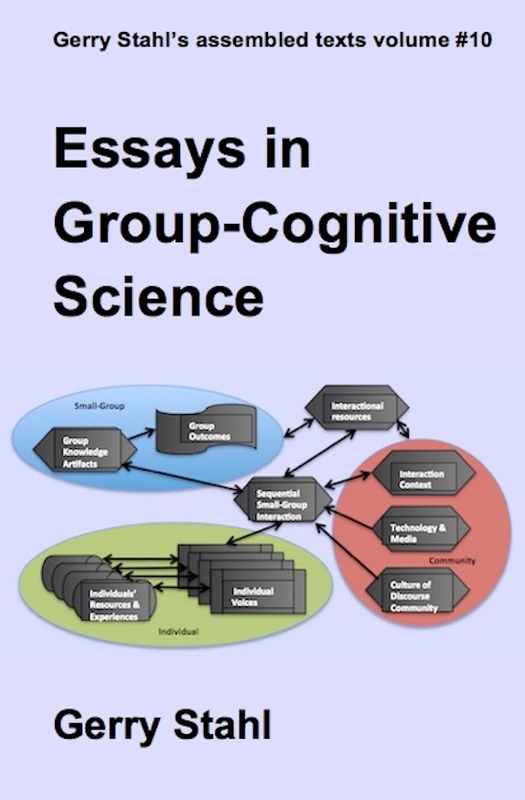 Essays, case studies and documentation related to group cognition as a scientific enterprise. 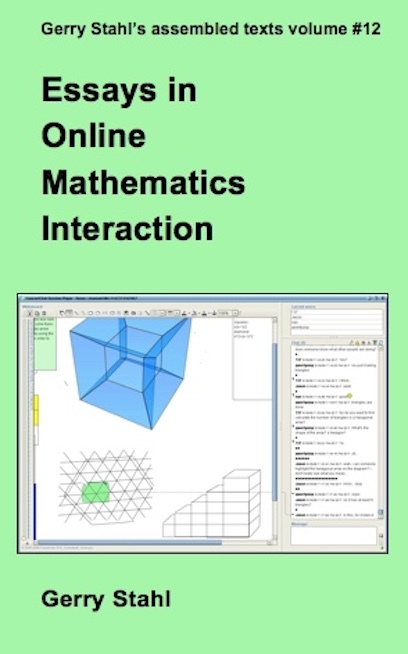 The essays discuss the structure of discourse in collaborative online mathematics, including longer discourse structures built upon adjacency pairs of conversational utterances or chat response pairs of postings. This structure has been captured in coding schemes used in certain studies within the VMT Project; these coding schemes are only available in this volume. 272 pages. 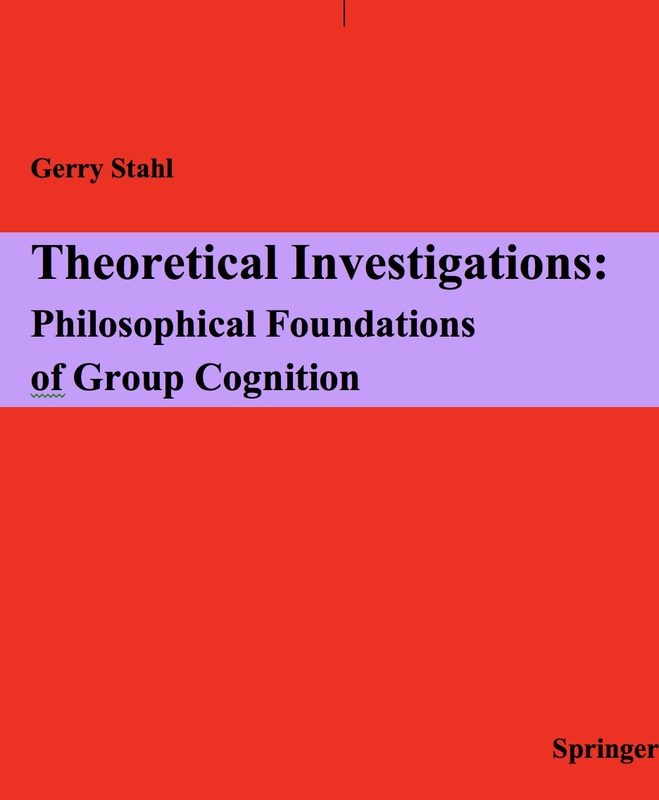 A collection of essays on foundational issues of group cognition, including the nature of group cognition and preconditions for its effective occurrence. Includes analysis of excerpts from interactions in VMT, showing the development of preconditions for group cognition. Discusses intersubjectivity, shared understanding, joint attention, common ground and being-there-together-in-the-world. These are my most explicitly philosophic writings and are closely related to the foundations of CSCL. 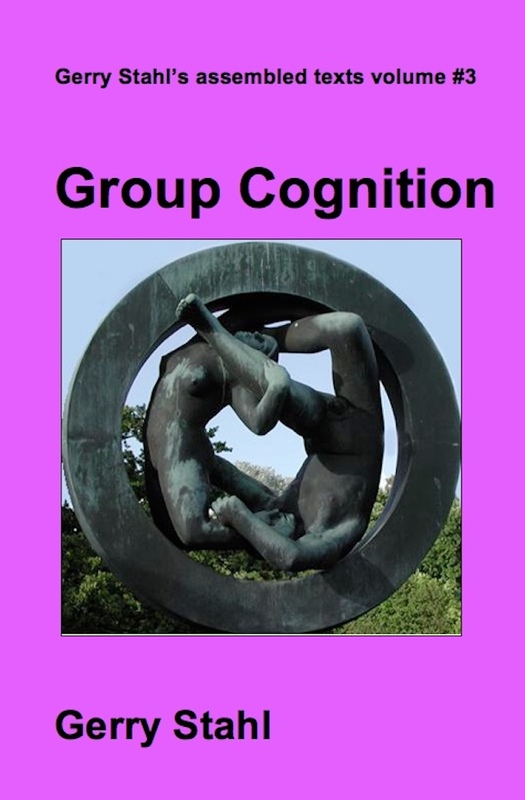 They discuss my theory of group cognition and its importance as a paradigm of CSCL research. 234 pages. These are case studies of student teams using VMT to work on problems in the mathematical domain of combinatorics. The version of VMT used here included a generic whiteboard for sketching graphical representations. Data from these sessions was analyzed by a number of researchers in addition to the VMT project members.The essays in this volume were co-authored with close colleagues. 210 pages. This volume includes analyses of student teams using the VMT environment with multi-user GeoGebra. 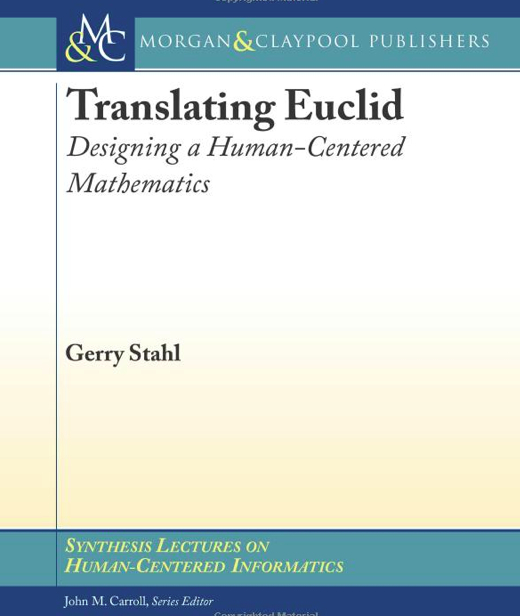 These studies are related to the presentations in in Translating Euclid and Constructing Dynamic Triangles Together. These analyses are some of the most advanced studies of data from the VMP project. 148 pages. 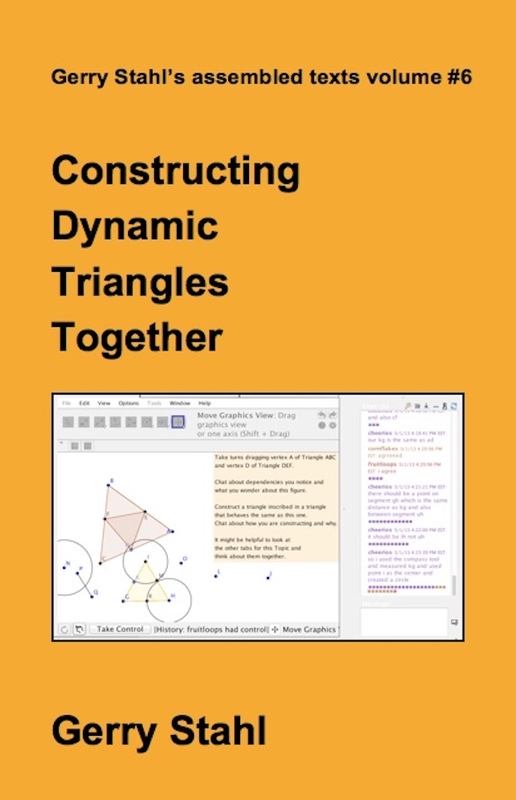 Workbooks with topics for online small groups of teachers or students to collaboratively learn dynamic geometry. This documents the curriculum used within the VMT Project during its final years, as discussed in the published books. 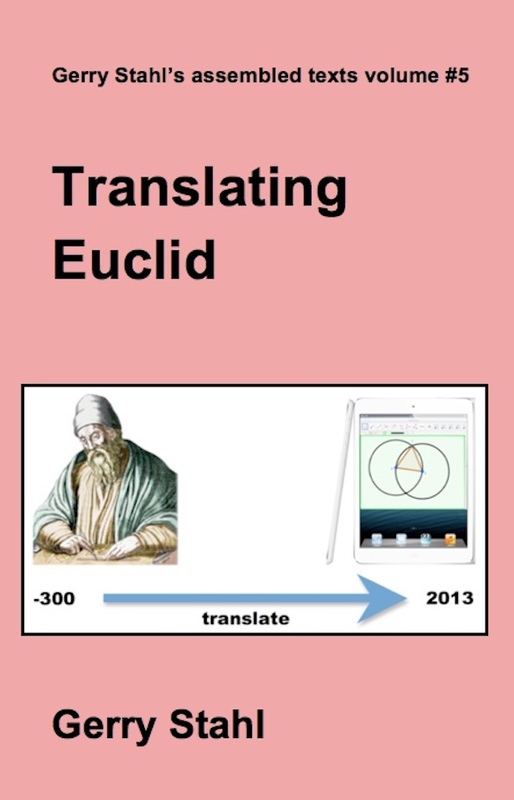 The approach is based on Translating Euclid. The many GeoGebra files used in the course are pictured in the workbook. 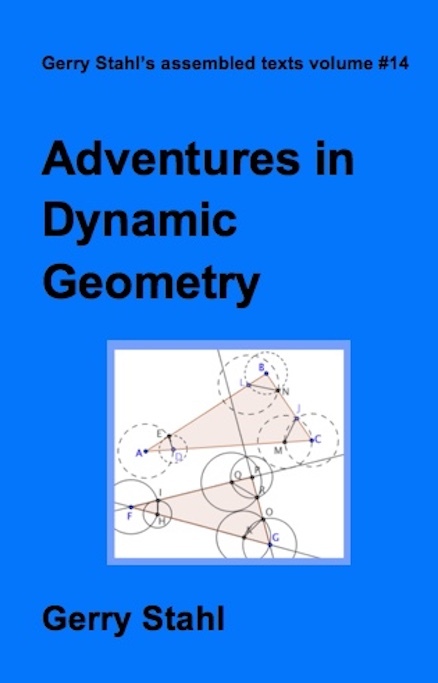 Several versions of the workbooks are available, including the version used in WinterFest 2013 and analyzed in Translating Euclid and Constructing Dynamic Triangles Together. Also includes the content of a game version that is available as a GeoGebraBook--the most refined version of the VMT curriculum. 356 pages. 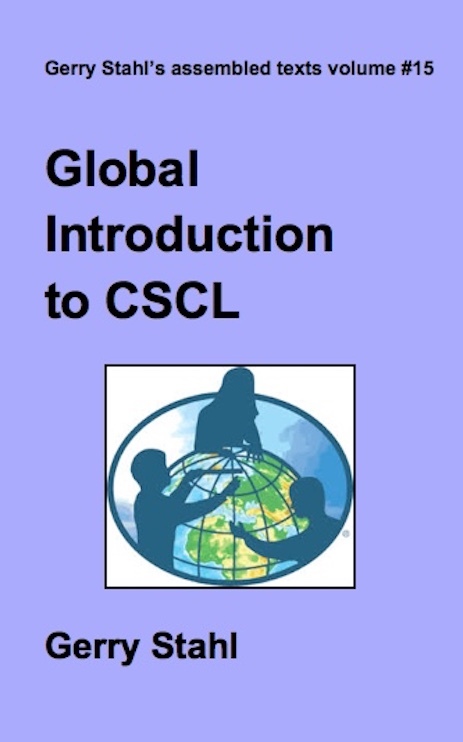 A chapter from the Handbook of the Learning Sciences on "CSCL: An historical perspective" by Stahl, Koschmann & Suthers, with translations into Spanish, Portuguese, Simplified Chinese, Traditional Chinese, Romanian and German. This is probably the most cited paper in CSCL, providing an introduction to the field from one influential perspective. 198 pages. 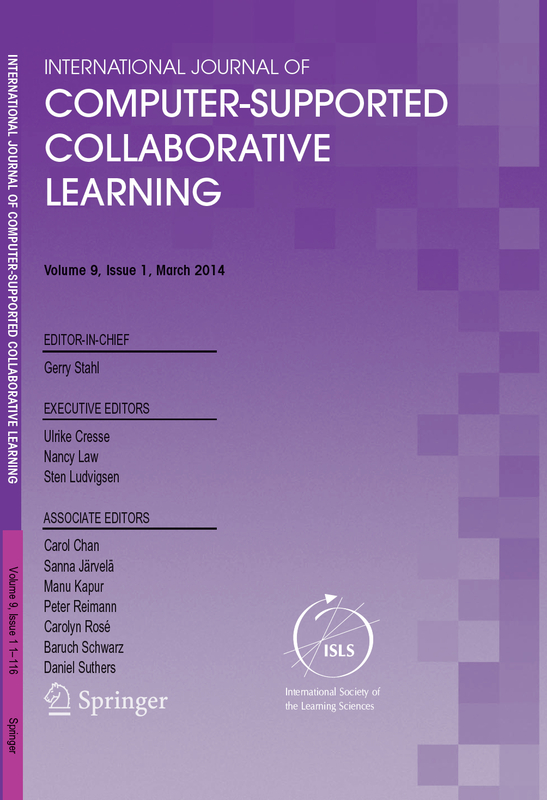 A compilation of the editorial introductions to the International Journal of Computer-Supported Collaborative Learning from 2006-2015. Each quarterly issue of the journal during these 10 years was introduced by an editorial statement which provided a critical review of the published papers. The editorial also reflected upon theoretical issues in CSCL and tracked the evolution of the community. 350 pages. The narratives of my grant proposals at Colorado and Drexel that were funded, plus some modest proposals that should also have been funded. Grant proposals are subtle documents, which have to make a persuasive case for important and innovative research that is achievable. 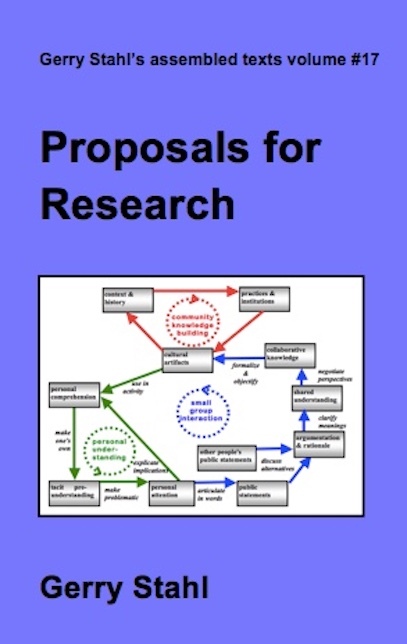 These proposals may be used as models of proposal writing as well as sources of technical ideas. 626 pages. Overview volume, providing a list of the assembled texts as well as some autobiographical materials. This volume is meant to display some of the personal context which surrounded and supported the collection of texts. 210 pages. The investigations within this volume comprise a selection of seminal and influential articles and critical commentaries that contribute to an understanding of concepts and themes central to the field of CSCL, as well as reflections on past and potential achievements of the field. They include 12 of my favorite articles from the journal that expand our understanding of social cognition. 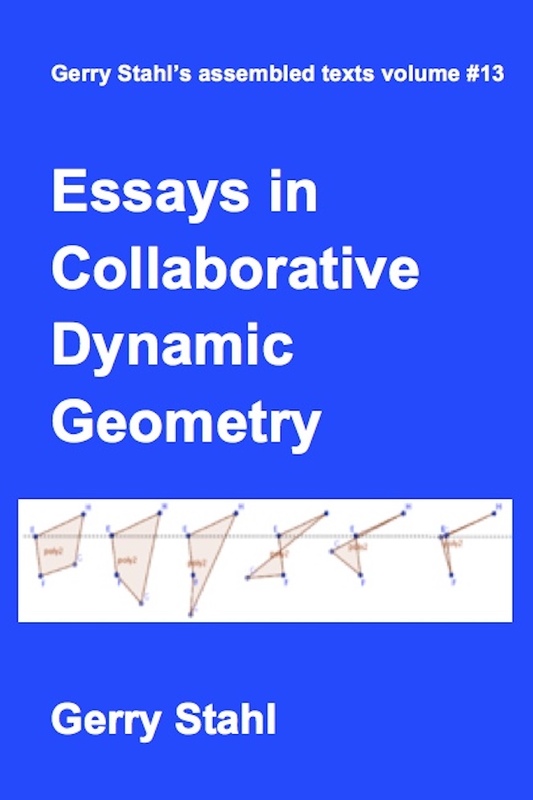 They also include 11 recent essays by me, documenting theoretical conceptualizations and exemplary instances of collaborative learning. The volume begins with two new reflections on the vision and theory that result from this research. 454 pages. 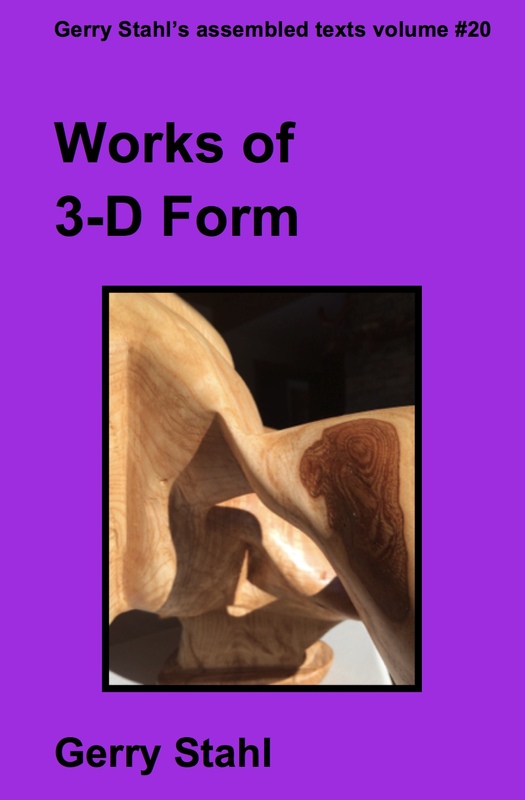 This volume contains information on my sculpture and other artistic creations. There are reflections on my approach to sculpture, both aesthetic and technical. The volume concludes with a catalog of all my sculptures in chronological order. 200 pages. 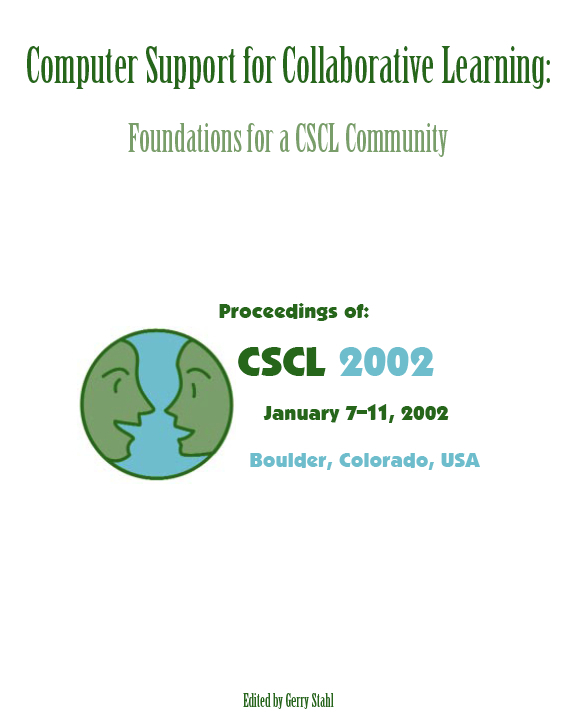 Proceedings of the International Conference of Computer-Supported Collaborative Learning, which I edited as the Program Chair of the conference in Boulder, Colorado, in January 2002. Proceedings of the International Conference of Computer-Supported Collaborative Learning, which I edited as a Program Chair (with Naomi Miyake and Hans Spada) of the conference in Hong Kong, China, in July 2011. Three volumes. A quarterly journal, which I founded and edited from 2006 through 2015. Why did I collect my writings in these volumes? As the official list of my publications approached and then exceeded two hundred distinct textual artifacts, it became difficult for me to keep track of their interrelationships. Many texts built upon previous ones in complicated ways, perhaps merging ideas from multiple sources, extending the analysis in different directions, situating common thoughts in contrasting contexts, providing updated versions or simply referencing each other. In looking back over the titles and thinking about their contents, I realized that what I have really wanted to say with all this has still not come to word satisfactorily, perhaps because it cannot be adequately presented in the confines of a journal article or conference presentation. It seemed to me that many of my papers more or less circled a concept, which I gradually began to refer to as "group cognition." 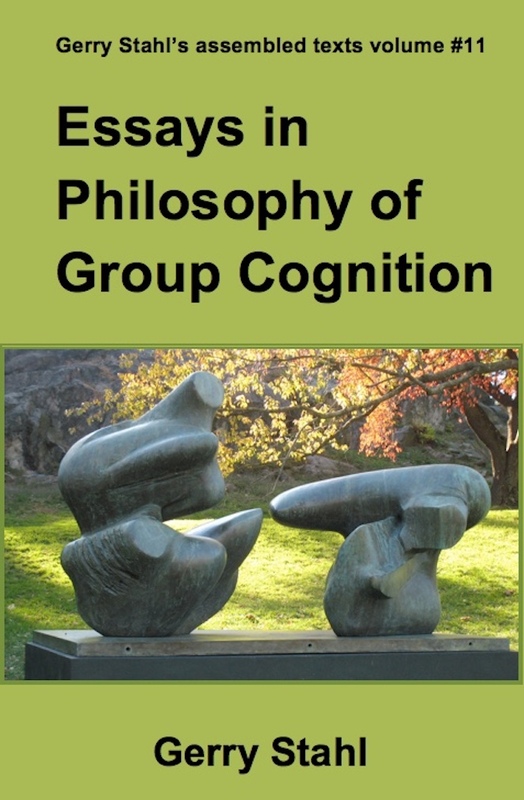 I compiled my most important writings from the decade of 1995-2005 in my first major book, "Group Cognition." When I got to read this compilation in one coherent text, I felt that the volume succeeded in saying considerably more than the sum of its individual contributions. Fearing that the sheer number of my publications--substantially increasing every year--must cause problems for my readers, assuming that they want to grasp what I am trying to say, I therefore determined to continue to assemble fragments of my published output into meaningful and synthetic collections. 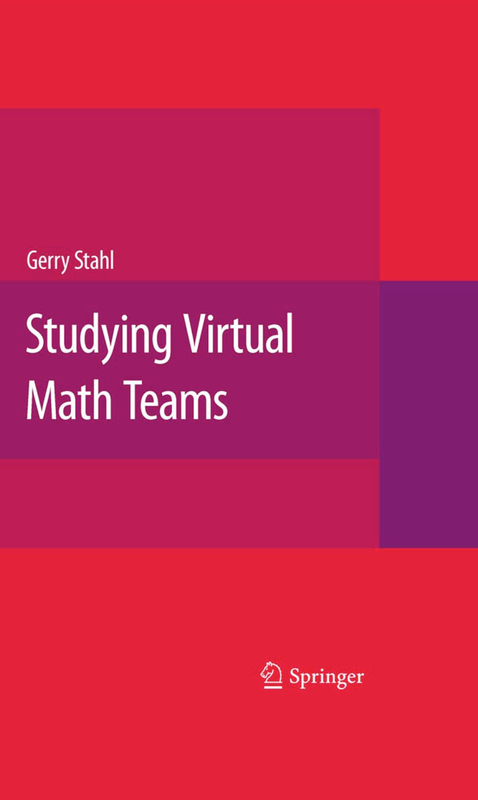 The second such attempt was with "Studying Virtual Math Teams," which gathered together the most important writings as of 2009 about the research project that I directed from 2003-2012, including chapters by colleagues and international collaborators. During the summer of 2010, I decided to explore self-publication, which brings with it many benefits for the author, the readers and the texts. For the author, it offers complete control and reduces the turn-around time from years to hours. For readers, it reduces the costs to nothing or to low print-on-demand fees, and offers multiple e-book formats. For the texts, it makes them available in multiple formats and allows them to be updated easily. I have now published my collected writings, starting with my dissertations and then some early essays in philosophy. I tried to collect the best versions of all my academic writings that I consider worth republishing, and gathered them in volumes based on theme and chronology. They are all conveniently accessible from this site. I hope this allows readers to make better sense of the words that I have put on paper and/or on the computer screen. I began writing as a student of philosophy. In that field, books are the traditional medium of choice. All the great philosophers have their ideas arrayed in their collected works volumes in the library stacks. In the 21st century, books seem old-fashioned; brief blogs, YouTube sound bites and even tiny tweets are preferred. But the complex issues involved in something like CSCL may require book-length treatments (or even multiple volumes). 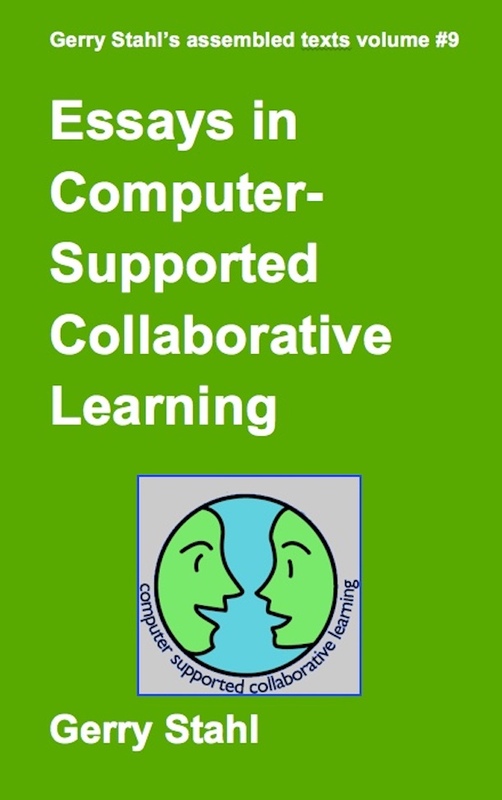 Otherwise, the educational reforms enunciated by Dewey, the collaborative learning suggested by Vygotsky and the computer support of collaboration prototyped by Engelbart would have been implemented in schools long ago. I hope that this eLibrary allows readers to browse through my writings and follow their interests as deeply as they desire through these aggregated texts.